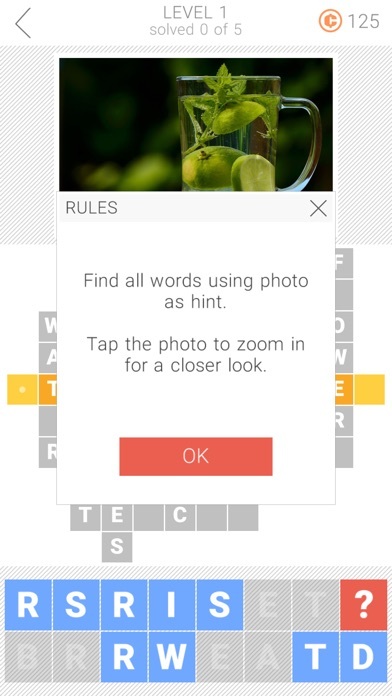 Solve crosswords using photos as clues. 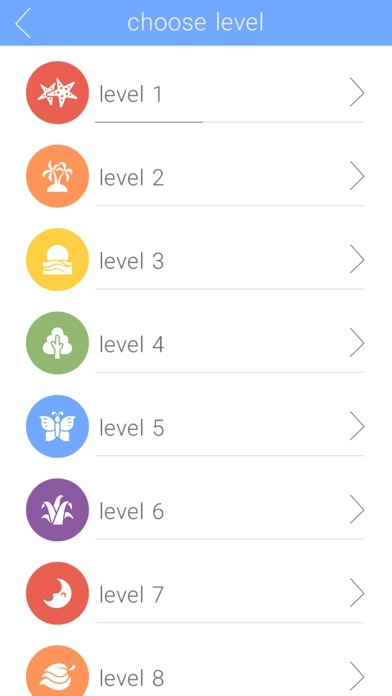 Have fun with hundreds of puzzles! Each puzzle contains words associated with one photo. 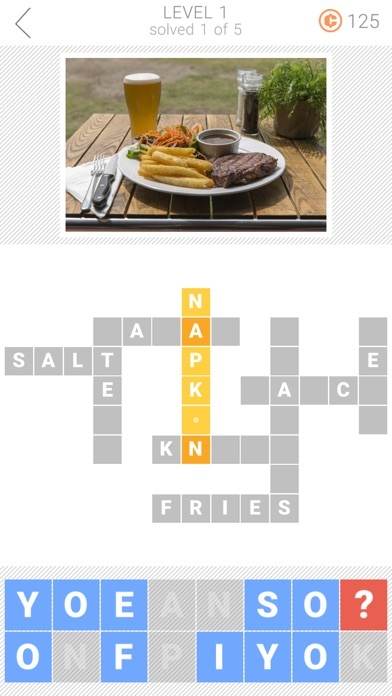 Try to guess these words and solve all levels! You can tap the picture to zoom in for a closer look. Some answers are straightforward, some are quite tricky. This word game is an excellent workout for your brain cells! Features: • Hundreds of crosswords. 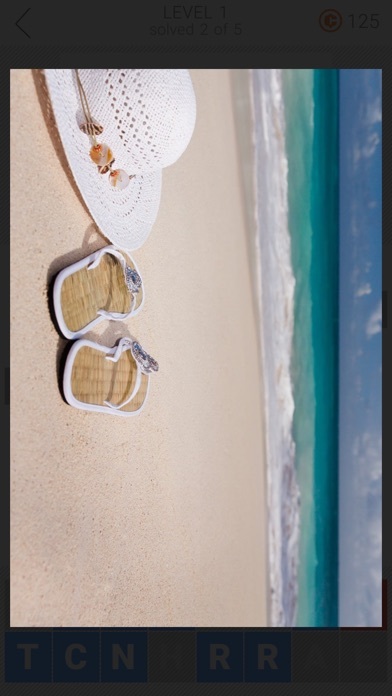 • Play in English, French, German, Russian, Italian, Spanish or Portuguese. • Fun way to play crosswords. • Contains free "Funny Anagrams" sticker pack for iMessage. 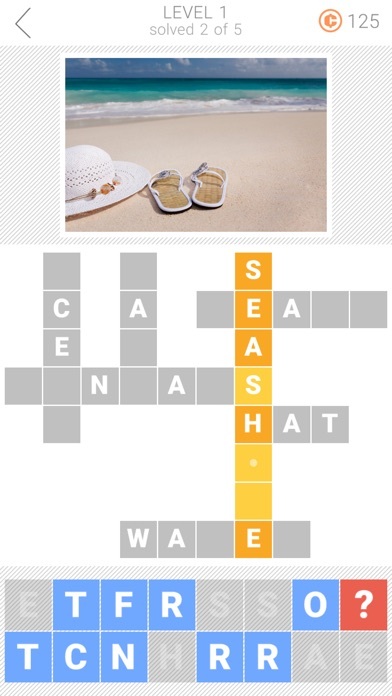 If you like pics and word association games, this crossword game is for you! I have been looking for a good word app and this is certainly one. I have enjoyed playing it. Agree with Pammykay245 "It starts out easy . . . " After an accident whereby I broke my neck, resulting in severe brain trauma, this game is just what is needed to get cognitive functioning flowing better. A good challenge! I get away from it when frustrated and come back with fresh eyes and a clearer brain - ready to try again. Starts off fairly easy then gets a bit more difficult. Some of these are very challenging and some are so obvious you overlook the answers completely.